OneCoin Review: Is OneCoin A Ponzi MLM Scam Or Legit? OneCoin Cryptocurrency Review: Is OneCoin A Scam Or Legit? Unfortunately, with the amount of money being invested into ICOs, there's a lot of scams in the cryptocurrency world. One cryptocurrency that raises plenty of red flags is OneCoin. And whilst it’s been operating for a few years now, investors are still being sucked into this Multi Level Marketing (MLM) scheme. So in this OneCoin review, we’ll look at what is OneCoin, why it's a scam and some of the ongoing legal investigations into this cryptocurrency. Note: This OneCoin review is based on research, ongoing investigations and media all over the web. But if you’re a OneCoin fan, or you have any opinions you’d like to share, let me know in the comments section below. 3. Why Is OneCoin Considered A Scam? 5. Why Is OneCoin Not A Good Investment? 6. Why Do Some People Feel OneCoin Is A Good Investment? 8.1. Why Is Cryptocurrency Worth Anything? 9.1. Did OneCoin Investors Get Their Money Back? 10. 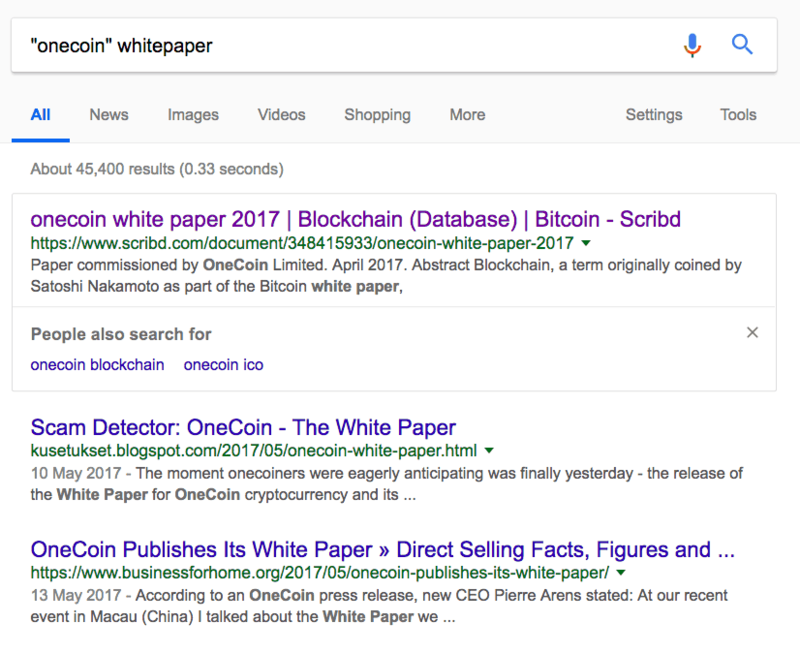 Where Can You Find The Latest OneCoin News? Can You Actually Sell OneCoin? I'll be honest here, there's no real technical details revealed about OneCoin's blockchain. That's a red flag in itself. Note: OneCoin's project looks like it's doomed to failure. I can't see them delivering on any of the above promises. In most of my coin reviews, I'd look at the technology, protocols and use cases of the cryptocurrency - as described in their white paper. With OneCoin, it's difficult to find a legitimate source. Let me explain by highlighting the biggest issue: they have no official whitepaper. Usually if you want to research the mechanics of a blockchain, the first place you'd look is the project's whitepaper. Now one of the biggest concerns I have is that they don't even host a whitepaper on their website. Take a quick Google search and the top result is a file hosted on Scribd - it's not even listed on their official website. 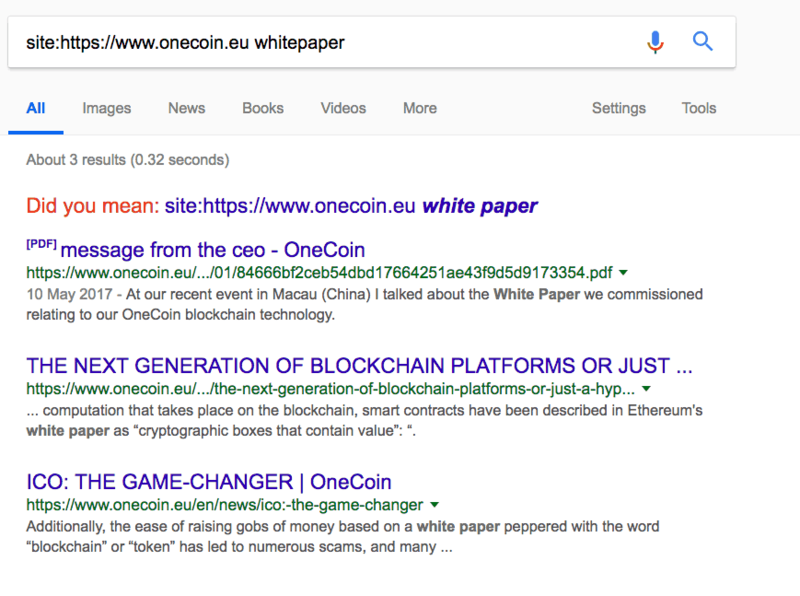 So I took the search one step further, and looked for any mentions of a whitepaper on their website. But still, nothing of value came up. So I literally couldn't find an official source for their whitepaper report. 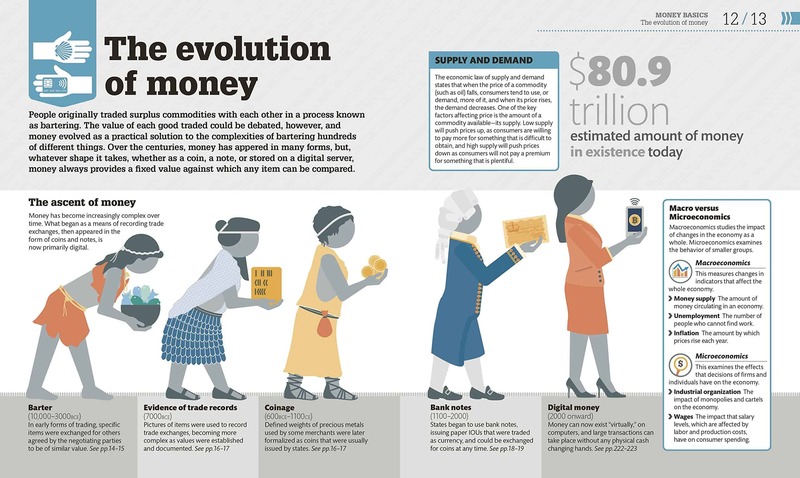 Whilst OneCoin claims to be like Bitcoin, it's a completely different business model. Bitcoin is one of the largest cryptocurrencies in the world. 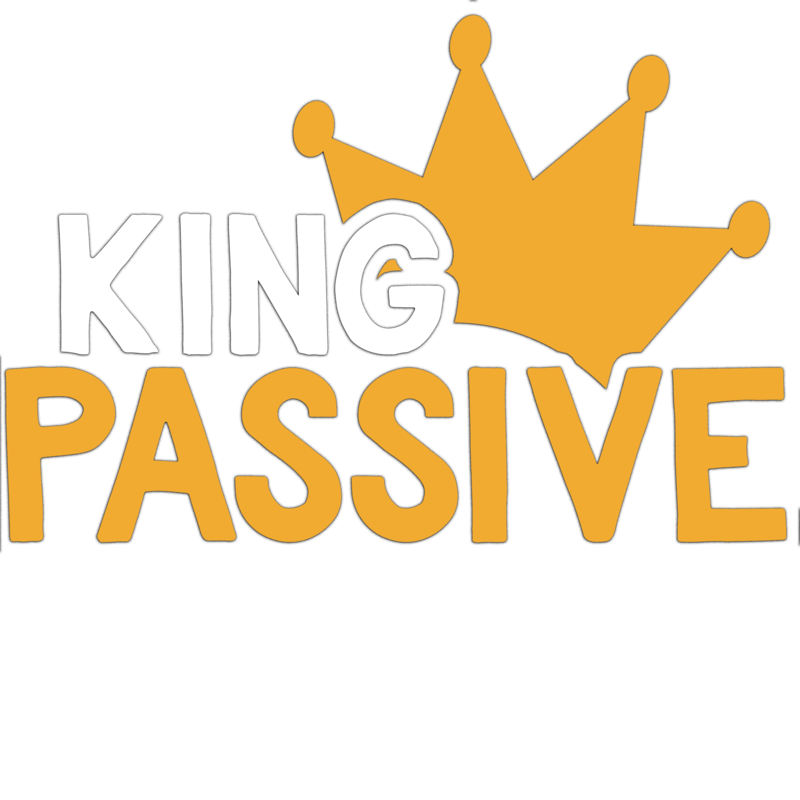 It has a huge community, and it's traded against every other cryptocurrency on the market. OneCoin on the other hand, is more like a network marketing model. It's kind of like the HerbaLife of the cryptocurrency world. 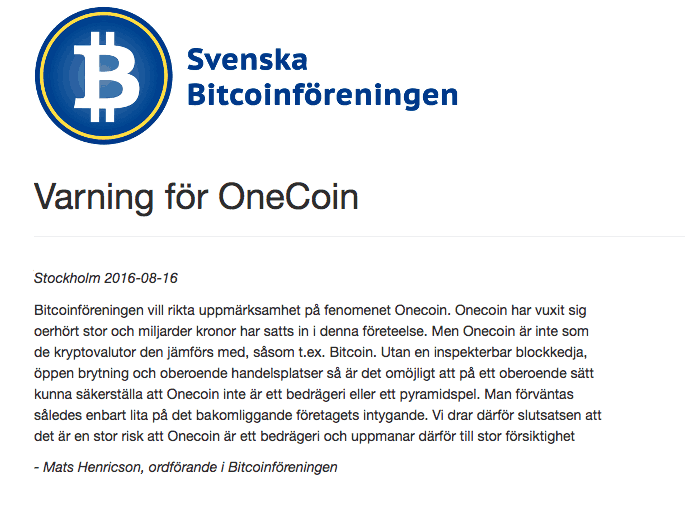 As far as their blockchain is concerned, OneCoin hasn't really released any technical details about their technology. It's not open source and they don't have a development community. One of the biggest problems with OneCoin is that it can't be traded on any exchanges. That means if you own the token, you can't sell it into fiat (traditional currency). And this problem has been reported all over the web. So how do you know that it really exists? And what's it actual market value? Again, that's another question I've seen raised a lot online. But it still hasn't been answered yet. With all of that in mind, I'd be very surprised if their tokens have any value at all. 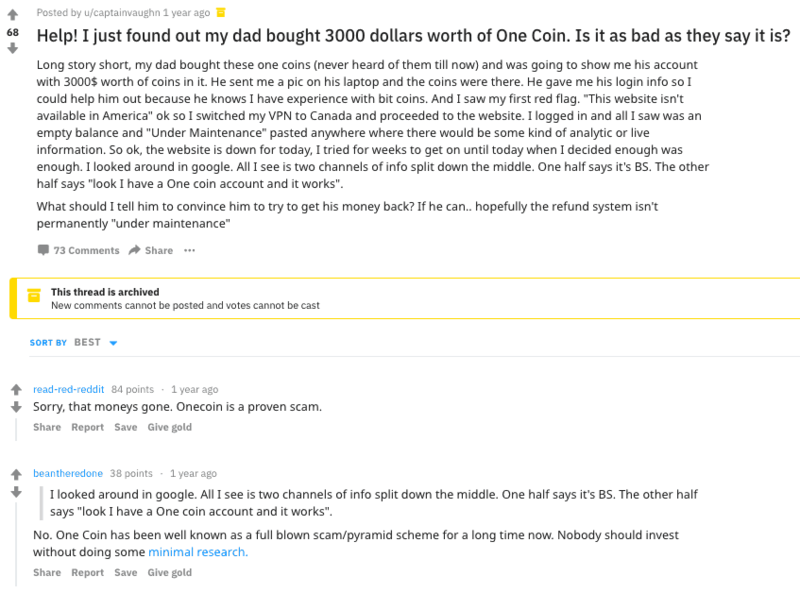 Along with BitConnect, OneCoin is one of the biggest cryptocurrency scams I've seen in the industry so far. I'll come onto the legal problems with OneCoin over the next few sections. But you have to understand that any type of Ponzi Scheme is a form of fraud. That's because the income OneCoin's investors are promised, doesn't actually exist. It's just fuelled by new recruits. So when the flow of new recruits eventually ends, so does the income for it's investors. So let's get into the meat of it. Basically, OneCoin operates via an MLM model. So to get into OneCoin, you have to invest your own money. Then once you've invested, you're pressured into recruiting new members. If you don't recruit new members, you won't get your investment back. So as we'll cover below, this comes with a lot of risks. Basically, if you refer someone to buy their coins, you'll get a 10% commission. If someone you've signed up refers another new member, you'll get a 10% bonus on that too. Why are pyramid schemes a scam? So not only is OneCoin a pyramid scheme, it's also a Ponzi too. Basically the money from new investors is used to fund money owed to existing investors of OneCoin. When the flood of new investors ends, so does the income guaranteed by OneCoin. So at any moment, the whole pyramid could collapse. Investors tend to get a little greedy. So when investors see the commissions they've received from OneCoin's new recruits, they become temped to invest more and more. Until eventually, the pyramid collapses - along with their hard earned money. A classic example of a Ponzi Scheme gone wrong is the Madoff investment scandal. Definition: A Ponzi scheme is a form of fraud. 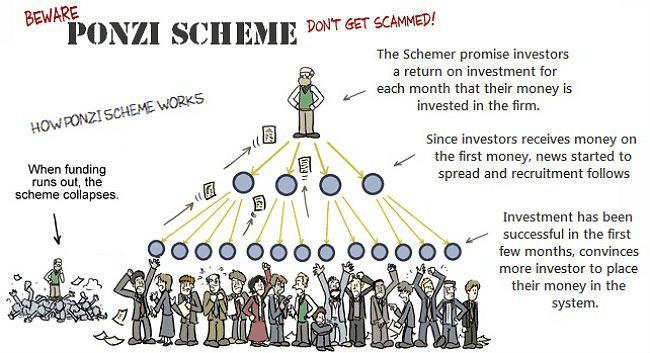 Ponzi schemes pay old investors returns using money from new investors. One of the things that blows me away about OneCoin, is the amount of warnings around the web. I haven't seen a cryptocurrency take this much of a beating before. Even BitConnect would struggle to rival OneCoin's infamous reputation. Pro Tip: Did you know that 80% of ICOs are scams? Check out my beginners guide to ICOs here. Whilst OneCoin did have a global network, it's been shutdown in a lot of countries. There's been tons of legal problems with OneCoin. In fact, their servers have been shutdown and banned around the world. With billions of dollars involved, this is a heavy legal case. And from Bulgaria to China, OneCoin has attracted a lot of negative press. So let's look at few examples. In May 2018, OneCoin was prosecuted as a pyramid scheme in China. 98 people were taken to court, with an estimated 2 million victims involved. Over 20,000 bank accounts were analysed during the prosecution. Whilst $2 billion was originally invested, only $266 million of this has been recovered. This case has been reported as the biggest ever prosecution of an MLM network in the Hunan province. In January 2018, OneCoin's Bulgarian servers were raided and shut down by local police. Useful: Looking for alternative cryptocurrency investment options? Then check out my guide to the best cryptocurrencies to invest in 2018. Whilst OneCoin seems like a project you definitely shouldn't invest in, surprisingly some people are still being drawn in. A lot of people around the world like Network Marketing. If you don't have any ethical issues around MLM, then OneCoin might be appealing. Unfortunately, there's a lot gullible in the world. There's always going to be investors fooled into get-rich-quick schemes. 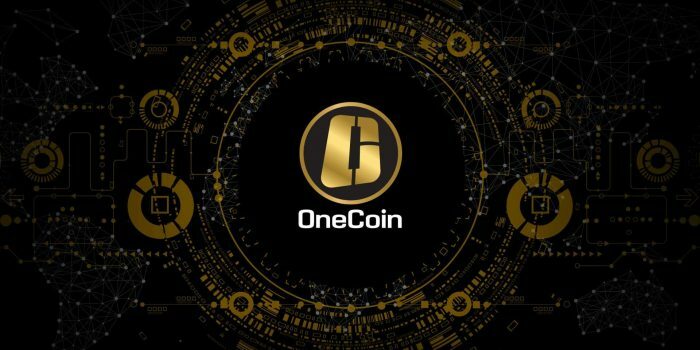 If you already have an audience of cryptocurrency enthusiasts, OneCoin might be appealing for it's rewards system. OneCoin was founded by their Chief Operating Officer Dr. Ruja Ignatova in 2014. Dr. Ruja Ignatova originated from Bulgaria after working in Asset Management. It's actually reported that Dr. Ruja has disappeared from the public since October 2017. There's been no public appearances or press releases directly from Dr Ruja since then. She actually stepped away from the company and her brother Konstantin Ignatov is now the CEO. Also, most of the company's corporate leaders have left the business too. So the project's team is gradually losing control. 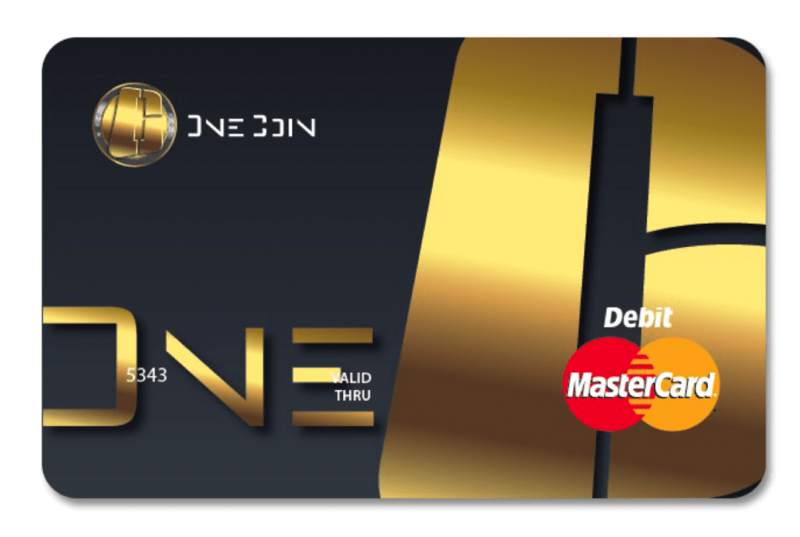 OneCoin claimed on their website that users can now order a Unionpay OneCoin card. But again, it just seems like fake news. To understand OneCoin's potential value, you need to comprehend why cryptocurrency is worth anything in the first place. You see currency is only worth as much as someone's willing to pay for it. When it comes to cryptocurrency, the price is usually based on their future potential. If you look at Ethereum, OmiseGo or Tron, you can see how these projects could change the world. With OneCoin, there's no real substance to it. I couldn't even find any technical details about their blockchain after researching online. It seems to me like OneCoin is more about creating a pyramid scheme, where the further you are up the chain, the more money you might make. So it's not really solving a problem. Plus, network marketing schemes tend to have very low quality products. Just look at HerbaLife or BitConnect - their products are virtually useless, but their concepts made a lot of money for those who got in first. That's definitely not the sort of investment you want in your portfolio. Because essentially, their coin has no long term worth. 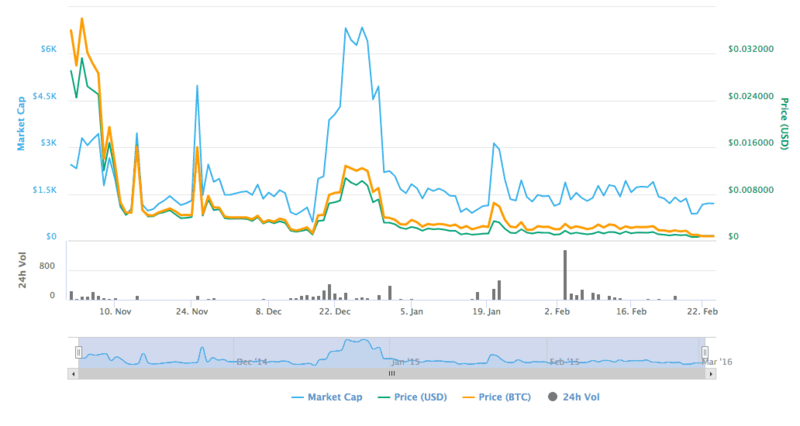 You can see OneCoin's price history in the chart below. But as we've discussed, this coin really isn't worth anything. After all the scam's, legal court cases and their CEO/founder completely disappearing, this cryptocurrency is basically a write off. Also, because the coin isn't traded openly on the market - their price isn't really valid. After all, any type of currency is only worth as much as someone's willing to exchange it for. So if you can't trade OneCoin, it has no value. Even OneCoin's listing on CoinMarketCap isn't legit. It's named 1Coin instead of OneCoin and CoinMarketCap's link to their website goes to an old URL that doesn't even work. That's actually something I've not seen on CoinMarketCap before. In terms of OneCoin's revenue, I've seen estimates range from $2 Billion to $8 Billion. After being investigated in their hometown in Bulgaria, and being prosecuted in China for $266 million, the future of OneCoin looks very bleak. I think eventually they'll be completely wiped out, if it hasn't happened already. Only a tiny fraction of the total $2 Billion invested in OneCoin has been recovered. So most people have lost their whole investment. It's sad to see stories of people's family and friends losing money. 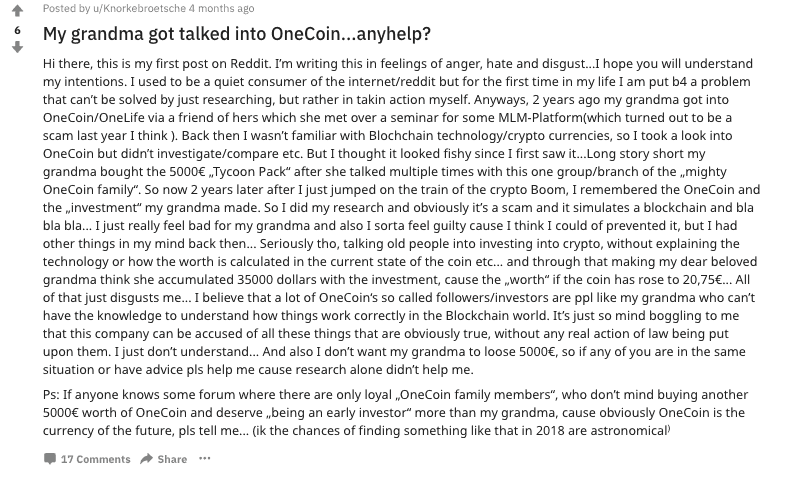 And whilst it's easy to see that OneCoin is a scam now, I think there's a lot of naive investors who were sucked into the whole MLM model. Whilst the decentralization of cryptocurrency technology is definitely a benefit, it also leaves the industry wide open for cowboys too. 80% of ICOs are reported to be scams. And I think in the future, we'll see a harsher crackdown on schemes like OneCoin. Stricter controls are already being put into play around the world in the cryptocurrency industry. Over the next few years, I can only see controls becoming increasingly stricter. Obviously, that could have a negative on the cryptocurrency market as a whole. So why are cryptocurrency scams popping up? And why do people continue to fall for them? I mean, just look at BitConnect's rise to fame. It's MLM scheme ended in tears. Personally, I think this is the problem with new technology like cryptocurrency. Because it's so speculative, most amateur investors don't understand how to differentiate between a strong cryptocurrency and a scam. And when people get excited by it's potential, a lot of hype is created. People are investing in cryptocurrency without doing their research. And just the like the dotcom bubble, scams will follow the money. In a way, I'm happy the market has crashed so hard in 2018 because it's allowed the scammers to be exposed. Plus it's scared away those investors who wanted a 'get rich quick scheme'. First of all, any type of investment carries risk. And investing in the cryptocurrency market is particularly risky. So if you're not willing to lose your initial investment, I wouldn't recommend trading crypto. Sadly, I don't think scams in the cryptocurrency world will stamped out completely. But how can you spot an MLM scheme? And what are some good ways to research a cryptocurrency before you invest? Check The Whitepaper: Read the cryptocurrency's whitepaper and look at how their business model works. If there's no whitepaper, that's a big red flag. Online Reputation: Look at how people are talking about the cryptocurrency. If you consistently see negative comments and bad reviews, it's a not good sign. Speak To Investors: Whether it's online or offline, speak to previous investors and see what they have to say about the cryptocurrency. But watch out for sales pitches too. Adoption: If major exchanges haven't listed the coin yet, take that as a sign that it's not considered a well established cryptocurrency. Stay Skeptical: If you're being offered 'guaranteed income' or any other type of unrealistic deal, walk away. It's better to stay safe and invest cautiously. I've not seen any cryptocurrency exchanges where you can buy and sell OneCoin. So it can't really be bought or sold on the market. It's only available directly from their website. And once you hold OneCoin, you're kind of stuck with it. Plus if a cryptocurrency can't be traded back into a real world currency, it's basically worthless.